Nigeria's most senior judge has resigned, his lawyer said on Friday, less than two months after he was charged with non-declaration of assets that government critics said was politically motivated. 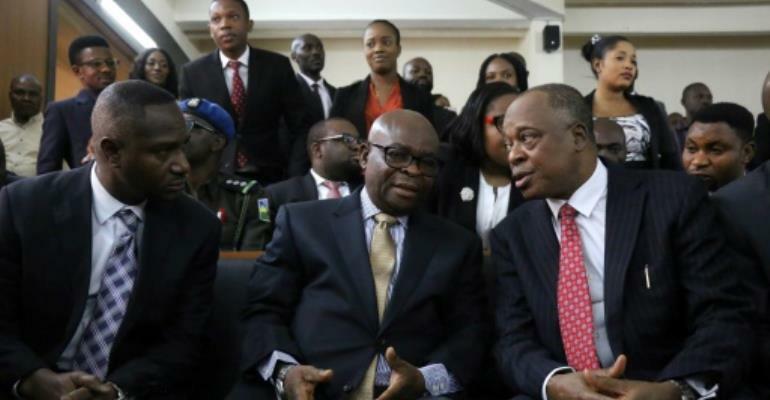 "Yes, he resigned yesterday," Chief Justice Walter Onnoghen's lawyer, Adegboyega Awomolo, told AFP, without giving further details. His beaten rival, Atiku Abubakar, from the Peoples Democatic Party (PDP), has launched a legal challenge to the result, after calling the election a "sham". Onnoghen's resignation came a day after the regulatory body for judges, the National Judicial Council (NJC), recommended he should be compulsorily retired from service. Buhari then suspended and replaced him, prompting accusations of executive over-reach and even an attempted "coup" against the judiciary. Lawyers protested on the streets.